Wedding Videographer Carmen and Maurice Same Day Edit Video – Sweet Love – Vancouver Wedding Videographer Life Studios Inc.
Carmen and Maurice are two incredibly nice and sweet people and they are so perfect for each other! It was such a pleasure to capture their lovely and romantic wedding day! They were married on a beautiful sunny day that began with the always hilarious bridal door games. Maurice had to show off his push up power before he could claim his lovely bride Carmen. Once Maurice passed the test and entered her room to claim her, Carmen teared up at seeing him for the first time on their wedding day. Carmen’s sweet response to seeing her groom set the tone for their sweet and heartfelt wedding day. Their outdoor ceremony was held at the gorgeous Aberthau Mansion on their lawn. Carmen and Maurice stole a private moment to dance together at Aberthau Mansion – how sweet are they! We caught some fun footage at UBC (we couldn’t resist the jumping shots!) before the reception which was held at Empire Seafood Restaurant in Richmond. Maurice only had eyes for his lovely bride Carmen the entire day. Carmen has such a sweet smile and she didn’t stop smiling all day! Carmen’s and Maurice’s entire wedding day was filled with endless smiles and laughs and it’s clear to see that they share such a pure and sweet love! Their kind and caring natures were so apparent to see throughout the whole day and we were thrilled to be a part of their special day! Congratulations to two sweet and wonderful people who are perfect for each other! 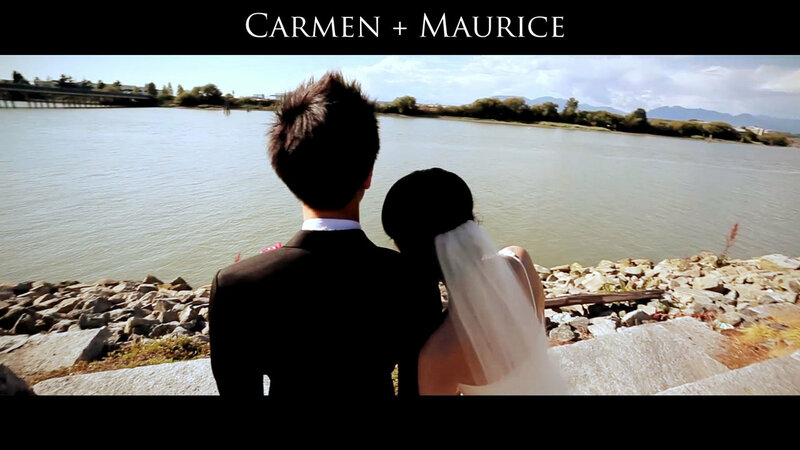 We hope you enjoy the Wedding Videographer Carmen and Maurice Same Day Edit Video!